Whats going on in American classrooms? Students just are not learning any more. They are controlling the classrooms, and going grade to grade with flunking grades. 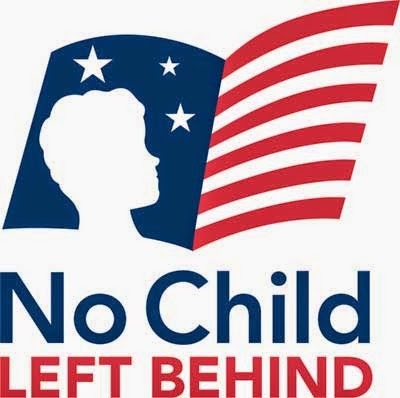 The "No Child Left Behind Act." was united behind a revolutionary idea: every child can learn. The No Child Left Behind Act of 2001 (NCLB) is the most recent iteration of the Elementary and Secondary Education Act of 1965 (ESEA). We at The Wrap-Up Magazine do not agree with these school ruling if our system is going to be mocked and taken advantage by the students thats attending. The United States is well behind the leading countries in reading and math. Once a conservative advocate for the No Child Left Behind Act, Diane Ravitch has had a change in opinion. The former Bush administration education official has written a book telling how this act. has killed the school system. What ever happened to educational systems like "Job Corps"? Job Corps is a free education and training program that helps young people learn a career, earn a high school diploma or GED, and find and keep a good job. Job Corps is a program administered by the United States Department of Labor that offers free-of-charge education and vocational training to youth ages 16 to 24. Job Corps is virtually unknown to most Americans, but it continues to serve communities across the country.